TL; DR: As more IT departments opt for hybrid environments, Opus Interactive aims to provide useful — and secure — hosting services to clients pushing for digital transformation. 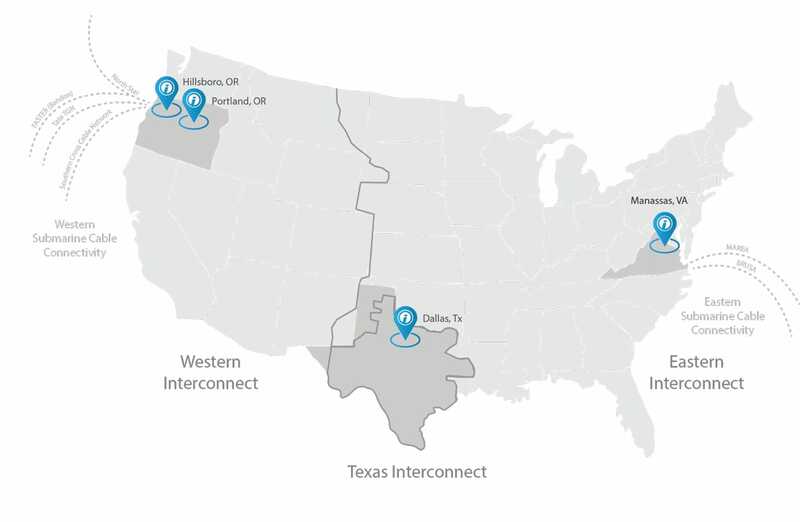 That’s why it has expanded its operations coast to coast, with datacenters in Oregon, Texas, and Virginia to offer robust, customized solutions to businesses nationwide. Opus Interactive is also completing a rigorous FedRAMP certification process that will extend its success with commercial websites to more government agencies. And all of these improvements are part of its mission to provide the most cost-effective and consumer-focused cloud solutions. Facing the constant flow of traveler data — check-ins, check-outs, bookings, and cancellations — with a network of legacy systems can be nearly impossible for a travel service in today’s connected world. But that information is vital to companies like American Tours International, which opens the United States to travelers from around the world with its customized tour services. When ATI, which works with more than 30,000 worldwide partners, decided to consolidate its aging infrastructure and scale its business, the company knew it would need a solution as customized as its tour packages. CTO Brady Wilson, left, CEO Shannon Hulbert, and President Eric Hulbert lead the Opus Interactive team. That’s when ATI turned to Portland-based web host Opus Interactive for help. Opus Interactive created a hybrid solution that combined a VCloud Suite with ATI’s reservation system data hosted in one of its Oregon datacenters. Ultimately, that hybrid cloud solution gave ATI the scalability and efficiency it needed while remaining affordable. Now, ATI can ensure that information flows seamlessly to and from its partners, and the system can handle a sudden influx of traveler data with the same speed and security. Opus Interactive has a long track record of helping companies find the best configurations of on-prem and cloud services to make the digital transformation more seamless. And Opus Interactive understands the critical part it plays in ushering companies like ATI into the future. “We assume the role of a trusted advisor,” said Eric Hulbert, Co-Founder and President of Opus Interactive. The company also listens to its clients, and they help drive the projects it pursues. When businesses need specializations, Opus Interactive relishes in innovating industry-specific offerings and more robust services. That is if it isn’t already working on a solution. “Often, when a client asks us for a tool or feature, we’re already 90% of the way to completing the project. But that extra push definitely motivates us to finish the last 10%,” said Shannon Hulbert, Co-Founder and CEO of Opus Interactive. In 1996, Opus Interactive was founded with a goal to create custom hosting environments and enterprise solutions. Since then, the landscape has changed considerably, and both IT departments and cloud providers have had to adjust their strategies to keep up. “Hybrid IT is the new norm, and you can see the seismic shift of customers moving from on-premises hardware,” Eric said. To meet this increased demand, Opus Interactive is continuing to expand its datacenter footprint. It currently has two Tier III+ facilities in Oregon, one in Texas, and another in Virginia. The company’s coast-to-coast datacenter expansion is also client-driven. Many companies interested in scaling on a massive level recognize that they need faster, more efficient machines. A hybrid environment offers the right amount of processing power, customization, and flexibility to meet those goals. Opus Interactive has datacenters across the U.S. to ensure fast, secure connections for its clients. That commitment includes colocation solutions that can help every client create and implement projects. And on-site experts are available to aid companies in migrating, planning, and set-up. One of these individualized offerings is multi-cloud monitoring management. The service allows clients to manage both cloud and hybrid networks on a single interface and enables them to move away from legacy systems more seamlessly. Further, the company is committed to green initiatives. Opus Interactive uses sustainable power, as well as renewable energy to save money and positively impact the environment. The company also participates in the voluntary Green Power Partnership to buy green power to reduce its eco-footprint. “Now we operate on three electrical grids in the U.S., and provide seamless solutions for clients to host their entire workloads,” he said. And most Opus Interactive clients prioritize productivity and reliability. That is why the company offers 100% uptime for all of its datacenters. Though Opus Interactive has been working on solutions for the business sector, the company also offers robust services in other areas — which will soon include the federal government. Opus Interactive is finishing the Federal Risk and Authorization Management Program (FedRAMP), which isn’t a simple process. But the complex certification will signal that its cloud products and services are secure enough to handle even the most sensitive government information. A host must demonstrate that it has cryptographic safeguards and two-factor authentication for network access. It must also clearly define system boundaries. Cloud providers who aim for FedRAMP certification understand that they’re in for a grueling process. But, afterward, they’ll have improved visibility and have IT service credentials that meet the highest security standards. Opus Interactive also opened a datacenter in Manassas, Virginia, housed on the campus of Iron Mountain Incorporated, as part of its push into the government sector. The datacenter has a high Federal Information Security Act (FISMA) rating and is the first East Coast datacenter location for the company. Many government agencies are aiming to improve the user experience of their platforms and make interactions more like the software they’d use in commercial settings. That is an area in which Opus Interactive felt it could help those agencies improve, and its Manassas location provides the secure, custom cloud solutions that are integral to future success. The Opus Interactive tagline is: “Technology, Meet Humanity,” because it aims to incorporate customized solutions to help companies — including ATI — meet the challenges of digital transformation. And that personal touch includes robust customer service for its clients. That support expertise in performance cloud is perhaps the company’s most significant offering. With its new data centers in Oregon and Virginia, Opus Interactive can provide even more solutions to companies — from coast to coast. Ultimately, this commitment to customers and forward-thinking vision has made Opus Interactive outperform better-known VM providers. And with its commitment to customization, Opus Interactive ensures the right fit for every project.